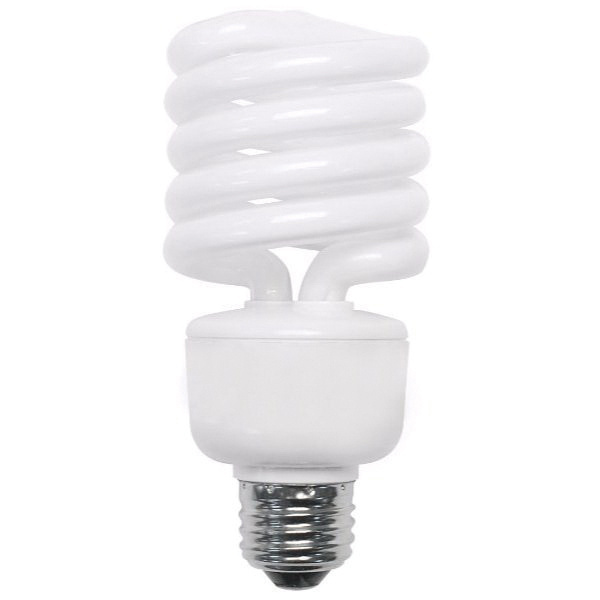 TCP SpringLamp® 1-Piece compact fluorescent lamp features screw-in E26 mogul base collection. The 27-Watt, R30 bulb outputs a bright and crisp light of 1850 Lumens. The Amalgam technology lamp features an average life of 10000 Hours for long life. The omni-directional lamp produces warm white light with 2700K color temperature and 82 CRI. It is compatible with NPF electronic ballast. It has a voltage rating of 277-Volts AC and current rating of 0.19-Amp. This spiral lamp is suitable for commercial, education, government, professional office, high bay, low bay, open fixtures, parking lots and warehouses. The fluorescent lamp meets UL/cUL, cULus, FCC, Subpart C and Energy Star standards.